Sparrow Bakery, Stuarts of Bend, The Workhouse, Cindercone Clay Center, The Cube and Cement Elegance. Special Last Saturday March 28, 6-10pm. Exhibiting vintage rock posters from Haight Ashbury. Blue Spruce Pottery features a large selection of hand thrown stoneware – including mugs, bowls, serving and baking dishes. 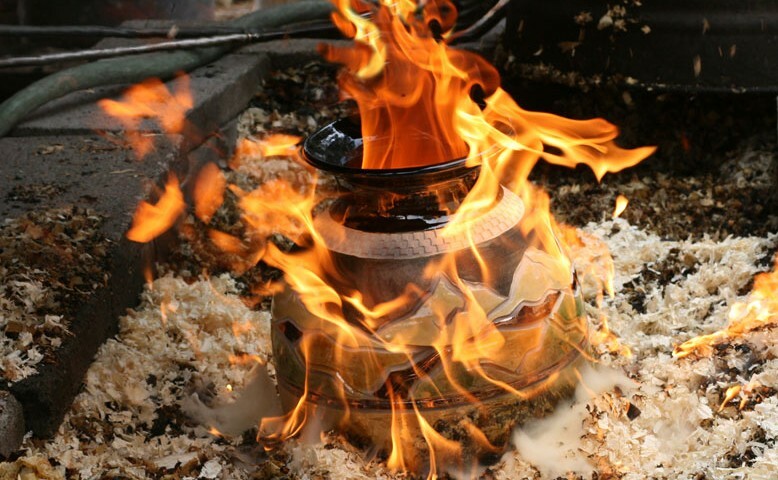 They also create beautiful Raku fired lamps, vases and decorative wall art. Call for an appointment. The High Desert Art League, a rotating art exhibition featuring the work of High Desert Art league members. The Good Life, featuring work by Jacqueline Newbold and Vivian Olsen runs thru March 19. Olsen’s work shows her flare for life-like, personality filled paintings of owls, ravens, coyotes and other critters and her skill in various mediums. Newbold enjoys finding ways to incorporate mixed media into her watercolor travel journals and captures moments in time when painting emotional watercolor landscapes. The view changes on March 20 with an exhibition of work by Helen Brown and David Kinker and an opening reception featuring live music and a complimentary wine tasting from 5:30-7:30pm. Brown is noted Central Oregon watercolor artist known for her interesting perspectives, dramatic light. Kinker has a passion for detail and the outdoors, which shows in all of his work. The show runs thru April 16. www.highdesertartleague.com. Featuring Cory O’Neill’s work. Fine art landscape and wilderness photography. Featuring art from local artists Wendy Birnbaum, photographer; Trish Poydence, glass casting and fused glass; Lynne Myers, whimsical acrylic paintings and Tylar Merrill, felting on silk. Come have a smile and a giggle over the dogs, cats and other pets of yesteryear through the Des Chutes Historical Museum’s newest exhibit Pet Tales: Furry Friends in Photographs 1900 to 1960. Thru April 11. Located on the first floor, Pet Tales highlights selected images of our collection of thousands. Showcases the acrylic styling of Kim Jones, well-known artist in Central Oregon. Jones’s acrylic paintings are dramatic with their deep, rich earthy tones, ranging from mossy greens, through the yellows and terracottas of packed clay soil, to startling bright orange-red. www.kimjonesartist.com. Brewing Culture: The Craft of Beer opens thru May 31. Presents the history of brewing, the ingredients used in craft beers, the process of brewing and the culture of the craft brewing industry. Beer tastings at the High Desert Museum: March 5: Winter & Spring Seasonals. April 2: Sessions & Imperials. May 7: Sours & Belgians. Artist Janet Rawlings of Redmond. Soft pastels is her medium. rawlingsfineart.weebly.com. David Kinker exhibit thru March 15, followed by a group show. Flags and Folds features artist books created using an accordion structure and an accordion and flag combination. Content varies from photographic, to calligraphic marks and textures; digital to printmaking. Books by Linda Piacentini-Yaple. Coming to the gallery mid-March–It’s About Time will feature new and recent paintings and assemblages by artist Ron Schultz, that continues an exploratory series on time and its influence on people and objects. One-of-a-kind bookmaking studio seeking to advance the emerging art of the book in Central Oregon through exhibits, and small workshops and classes. 117 SW Roosevelt Ave., Bend, sagebrushersartofbend.com, 541-617-0900. See the works of our talented new members starting March 15. 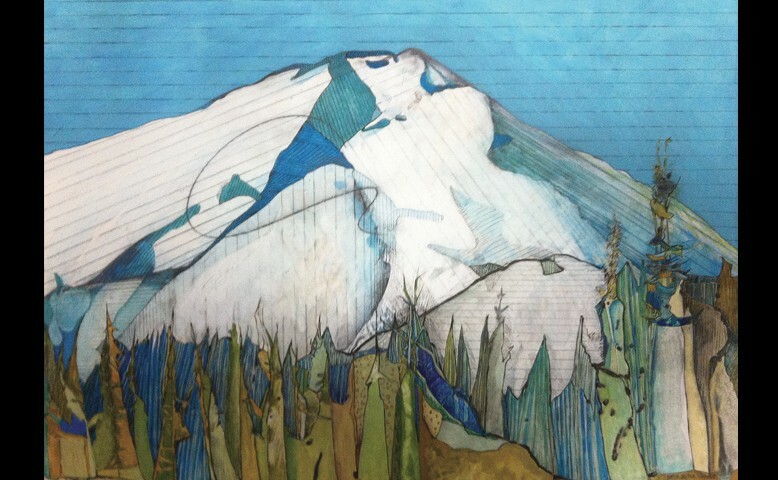 Local artists fill galleries from all around Bend, thru March 30. Welcome Spring! March is the last month of our current show, which has been a blowout! Now we are ready for our next show starting April 1, submissions will be due March 15. Of course the theme is always soothing, healing art…colorful and happy too. Second Saturday Reception, March 14, 4-7pm. Featuring Dorothy Moniz and Marily Badger along with the 25+ other artists in the gallery. Food and wine and fun! Michael Bryant an international award winning sculptor and wife, Denise has a passion for gems that led her to attend the Gemological Institute of America, where she gained the formal knowledge of the rocks and gems from her youth. Fourth Fridays, Stroll the Sisters Galleries March 27, featuring glass hearts and petrified bone jewelry. Presents the Lower Deschutes as this year’s Wild and Scenic River by Dan Rickards. Fourth Friday Art Stroll March 27. Gallery artists group exhibit. 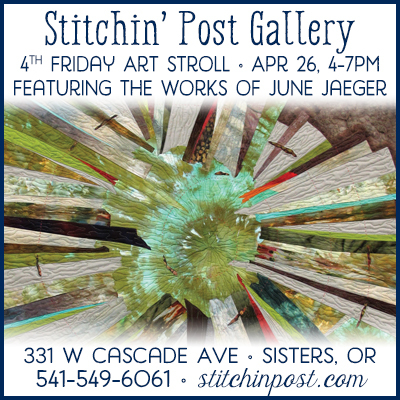 204 W Adams, 541-420-9695, www.sistersartworks.com. M-F. 10am-5pm or by appointment. March 27, 4–7pm. All art galleries and some businesses offer specials, receptions and demonstrations. Gallery open 11-5 daily, except Sunday, noon-5. Featuring Shooting in The Dark: Photography by Gary Albertson (garyalbertson.com) and framed poetry broadsides, thru National Poetry Month in April. 110 N Cedar St., 541-312-1070. Tuesday-Saturday, 10am – 6pm. Art by students of Sisters Middle and High School, thru March. Sponsored by the Friends of Sisters Library. Information: Linda, 541-549-1222 or sistersfol.com. Product demonstrations and workshops and special exhibits. Fourth Friday Art Stroll Friday March 27, 4-6pm featuring local fiber artist Pam Moss and her Nuno felting scarves and bowls. Bright collection of whimsical, functional glass art, designer ceramics, fine art photography and unique landscape paintings. A World of Splendor art exhibition from March 14 thru Friday, April 24 in the brewery’s taproom. A reception in honor of the exhibiting artists is scheduled for Saturday, March 21 from 4-6pm. The exhibit features three local photographers showcasing each artist’s vision of beauty. Tessa Lea Bailey will be displaying photography from her travels within Oregon and across the country and share in the splendor by spicing it with some patriotic photos in honor of the many men and women who have served and are serving our country. Kay Larkin will present a selection of landscape and nature photographs from recent travels in the western U.S. and Central America. Annual Spring Fling art exhibition thru March 20. To celebrate the sunny weather, the Spring Fling show has something for all family members. Among the paintings and photographs on exhibit are fused glass works by Katie Harris, Joan Ouchida’s table made from old sports equipment, Lee Barker’s three-dimensional homage to wine Vintage Roundabout and JD Grinnell’s Steam-Electric Guitar I & 2. Shari Crandall is the featured artist in the silent reading room for thru March. Crandall cannot remember when she hasn’t been creating “something” – whether drawing a picture or concocting solutions with her chemistry set as a child. Artistic expression is a form of meditation for Crandall.